Cook County State's Attorney Kim Foxx personally meddled in the case of Empirestar Jussie Smollett even after she claimed to have "recused" herself, recently unearthed text messages reveal. Her staff also slammed police as "the worst," and a special prosecutor who had worked with Foxx in prosecuting police sent letters supporting Smollett shortly before the charges against him were dropped. The local police union said these acts reveal a "double standard": police are required to be transparent while officials like Foxx can hide the truth. "Chicago's elected officials never tire of demanding accountability and transparency from Chicago police officers," Martin Preib, second vice president at the Fraternal Order of Police (FOP), told PJ Media on Wednesday. "The fact that many of these officials, including Mayor-elect Lori Lightfoot, have stated they want to move on from this case without digging deeper is a clear sign of a double standard at work." "One night, I couldn't take it anymore. I went home, and told my wife, 'We leave for Colombia!' My son started crying and son said: 'Dad what are we going to do?' But I knew if they stayed without me they'd be captured or interrogated." He and his family fled across the border at 3 a.m., using a route the he had noticed was being badly guarded. CHAMPLAIN, N.Y. - There’s no wall or checkpoint or regular guard at the end of Roxham Road, just a footpath to the border. In recent years, this trail has been the busiest unauthorized crossing into Canada, a well-known back door for tens of thousands of people seeking asylum in a country that projects itself as a haven for refugees. Christopher Steele declined to meet with the Justice Department’s Office of the Inspector General, which is reportedly poised to cast doubt on the veracity of some of the former British spy’s infamous anti-Trump dossier. Steele declined the inspector general’s request on the grounds that it would be improper for him to take part “in an internal Justice Department investigation as a foreign national and former British intelligence agent,” Politico reported Wednesday. The power of transgender activists in quelling speech and research...it's sexual dysphoria over free speech. Open University in Milton Keynes, England, canceled a prison reform conference after transgender activism lobby groups issued threats against the event. The school and the Centre for Crime and Justice Studies co-organized the conference, which was set to take place in May. More than 100 people had purchased tickets for the event, which was set to span two days. According to the Telegraph, the school told attendees that the conference was called off in March after trans activist groups said that the Centre for Crime and Justice Studies was transphobic for its stance on segregating the housing of trans female prisoners and biologically female prisoners. A source told the outlet, "The Open University faced quite a significant pressure from transgender activists. They received a number of emails where some of the language was extraordinarily overheated." The source added, "They were effectively being threatened with demonstrations and disruptive activity, possibly in the conference hall itself, and some kind of picket line or protest outside the conference." In a statement, the Centre for Crime and Justice Studies said, "We are saddened to announce that the conference, Prison Abolition in the U.K., planned for 23 and 24 May, has been cancelled." "Unfortunately, one of our conference partners has, in recent weeks, been subjected to concerted pressure by those intent on disrupting the conference," the statement added. "In the circumstances, they felt they had no option but to pull out." A spokesperson for the university said that the decision was made over concerns that the discussion "was moving away from its main, originally intended, focus — to debate past, present, and future of prison abolition." In March, England's first transgender prison wing opened for men identifying as women after reports of vicious sexual assaults forced the government change policies for trans inmates. "Prisoner safety is our biggest concern and any decisions we take will seek to best manage the risks posed by each offender," a statement from a British Ministry of Justice spokesperson said. "The wider management of transgender offenders is a highly sensitive issue which poses unique and complex challenges and we are determined to get it right. That's why we are reviewing the way we manage all transgender offenders." The government handed down a suggested directive calling for a majority of trans inmates to be incarcerated in prisons according to their preferred gender identity in 2016 after a male inmate identifying as a female raped two fellow female prisoners while incarcerated. Latin America's economic boom of the previous decade brought a much-needed boost to the region's infrastructure. Cities like Caracas and Lima expanded their metro lines. Argentina built a new rail system that connects nearby towns to the capital. Brazil spent years erecting football arenas and various sports complexes to host the World Cup and the Olympic Games. Even communist Cuba built a modern new port in the city of Mariel. It was a hopeful sign of economic progress. But as the region's economic shine faded in the following years, an uglier side of progress emerged. All these investments - and many others - had a common thread behind them: the presence of disgraced Brazilian construction giant Odebrecht. 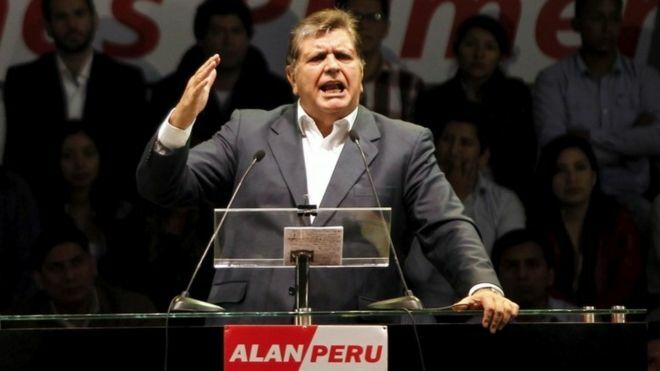 The news this Wednesday of the suicide of former Peruvian president Alan Garcia, just as he was being arrested on allegations he received bribes from Odebrecht, shows that one of the greatest corporate corruption scandals in the world is not going away. It is hard to find another company in Latin America - or even in the world - that has had so many high-level political connections in so many countries for such a long period of time. Founded in the northeast of Brazil in the 1940s, Odebrecht was for a while one of Brazil's most competitive construction companies, winning contracts not just in Latin America but also in the Middle East and Africa. It won numerous awards and was voted one of the best companies to work in Brazil. But in 2015 the arrest of its CEO Marcelo Odebrecht shattered the firm's image. Initially he denied all accusations of corrupt links with politicians, but two years later a plea bargain deal saw him come forward with allegations that are still rocking Latin American politics to this day. The country and the circumstances change, but the underlying scandal repeats itself in Argentina, Colombia, Brazil, Peru and many other places: Odebrecht offers bribes to politicians in power in exchange for exclusive, multibillion dollar infrastructure projects. Bribes were paid to officials either for personal gain or to boost up party finances. Mr Odebrecht also had the habit of dealing with politicians from all different ideological backgrounds and in federal, state and municipal governments. It is not easy to take Mr Odebrecht at his word. As in all plea bargain deals, he has every incentive to implicate as many high-ranking officials as he can, because this can help him reduce his prison sentence. And it has been working so far. His 31-year prison term was reduced to 10 years and may drop even further. Since the end of 2017 he has been serving it as house arrest. Mr Odebrecht told prosecutors at the time that the company had paid bribes to 39 members of Congress. Investigations revealed that Odebrecht elevated corporate corruption to a whole new level by creating in 2006 a "department of structured operations", which worked exclusively in handling illegal payments to officials. Odebrecht technicians even came up with a special software to make bribery payment run more smoothly. Four years on since the first revelations, the Odebrecht scandal is still providing fresh revelations. In Brazil, the former governor of São Paulo and presidential candidate Geraldo Alckmin had his bank accounts frozen this week. He is being investigated for allegedly receiving illegal campaign donations from Odebrecht, an allegation which he denies. The head of Brazil's Supreme Court, Dias Toffoli, has ordered a magazine to withdraw a news story which suggested alleged links between him and Marcelo Odebrecht. The case of censorship drew criticism from fellow judges, politicians and advocates of free speech. This month prosecutors asked for an extension of an inquiry into alleged payments made by Odebrecht to the speaker of the lower house of Congress Rodrigo Maia. Mr Maia is one of Brazil's most powerful politicians at the moment and a key figure in the negotiations of reforms in the country. 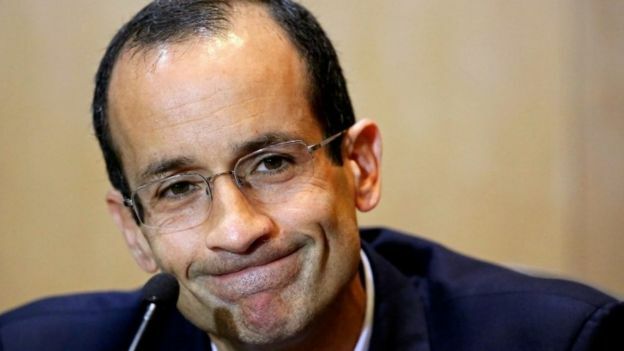 A group of MPs want to summon Mr Odebrecht to a Congress hearing next month to ask him about multiple loans the Brazilian government gave to the company in the past decades which were vital for many projects to go ahead, such as the Caracas subway and the Mariel port. 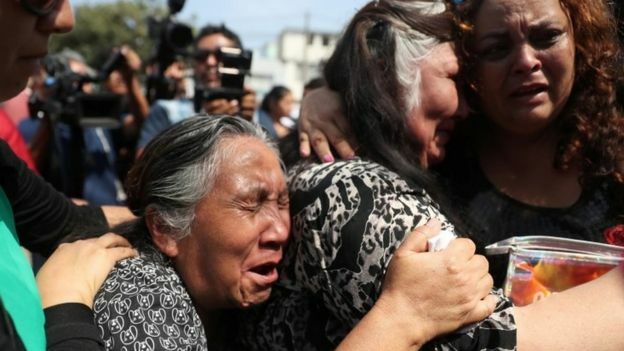 But Peru is perhaps where it has caused the most severe crisis, where the company says it paid almost 30 million dollars in bribes from 2005 to 2014. Four former presidents and the leader of the opposition have all been implicated in scandals regarding Odebrecht. Last year then president Pedro Pablo Kuczynski resigned hours before facing an impeachment vote, after it surfaced that he failed to declare Odebrecht payments made to companies in his name. The scandal has discredited virtually the entire political elite of the country, as all major parties and players have been implicated. Odebrecht declined to comment Wednesday's news of the suicide of Mr Garcia. Despite its silence, Odebrecht's name will still be making headlines for months to come. Earlier this week, Samsung sent out its remarkable new folding smartphone to a number of media outlets, including the BBC. Perhaps now it wishes it hadn’t. The screen on my Galaxy Fold review unit is completely broken and unusable just two days in. Hard to know if this is widespread or not. Samsung said it had received "a few reports" of damage to the main display, and would "thoroughly inspect these units in person to determine the cause of the matter". But it’s a significant setback to the company’s hopes of wowing the world with what, at first glance, was a very impressive feat of engineering. It appears one explanation for the problems is that some reviewers removed a film that went over the screen, thinking it was the typical protective layer you find on all new smartphones to keep the screen in good condition until you buy it. Bloomberg’s Mark Gurman removed his, as did the highly-regarded YouTube reviewer, Marques Brownlee. Steve Kovach, however, didn’t remove the film - and said he still had major issues. The device the BBC handled, incidentally, was taken away by Samsung shortly after filming was finished, so our team hasn’t had a chance to see these issues for ourselves. Our reviewer Chris Fox said the way the screen folded together - leaving a small gap - made him nervous about accidents that might occur with small objects.